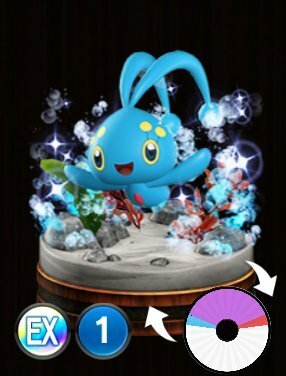 Pokemon Duel Manaphy Stats, Best Moves To Level Up and the Base Wheel Sizes. Manaphy’s Song – [One other Water-type Pokémon on the field (that is not asleep or frozen) may be moved within their MP range. That Pokémon gains wait.] This 2 Star* purple attack is a really interesting friendly displacement that can lead to interesting ways pf playing the board. Your focus with this figure is not to fight but to rely on this displacement move for support.